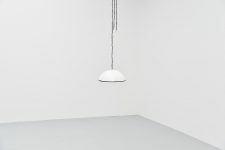 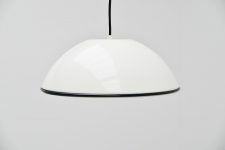 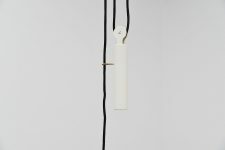 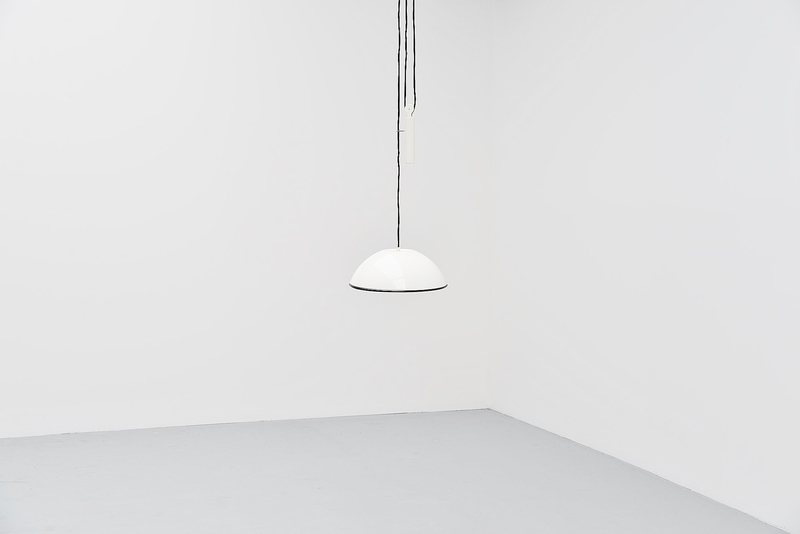 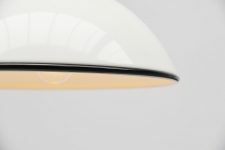 Counter balance pendant lamp model Relemme designed by Achille and Pier Giacomo Castiglioni, manufactured by Flos Italy 1962. 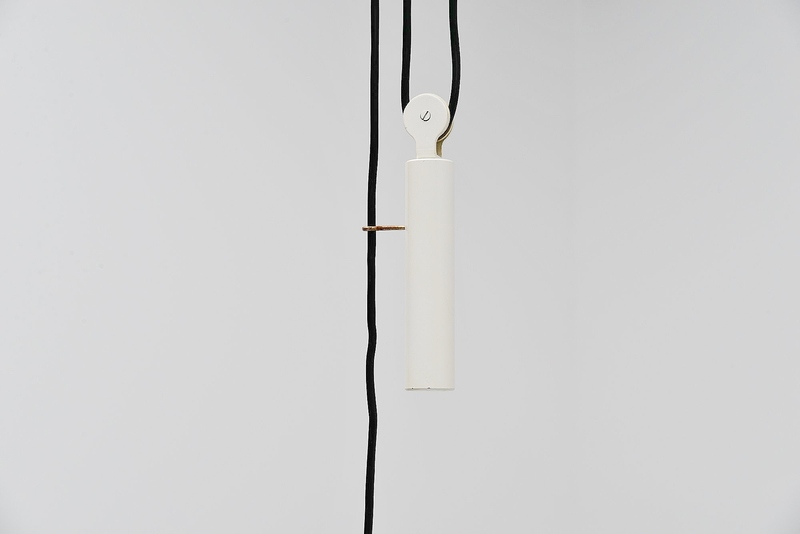 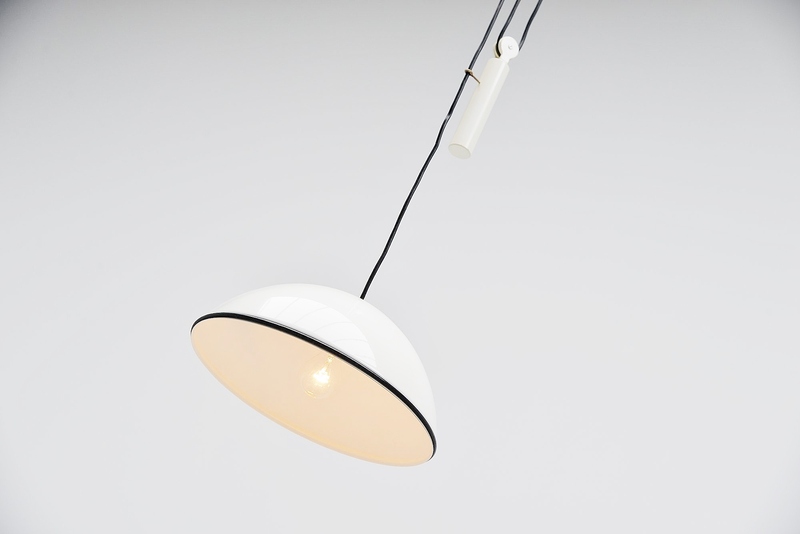 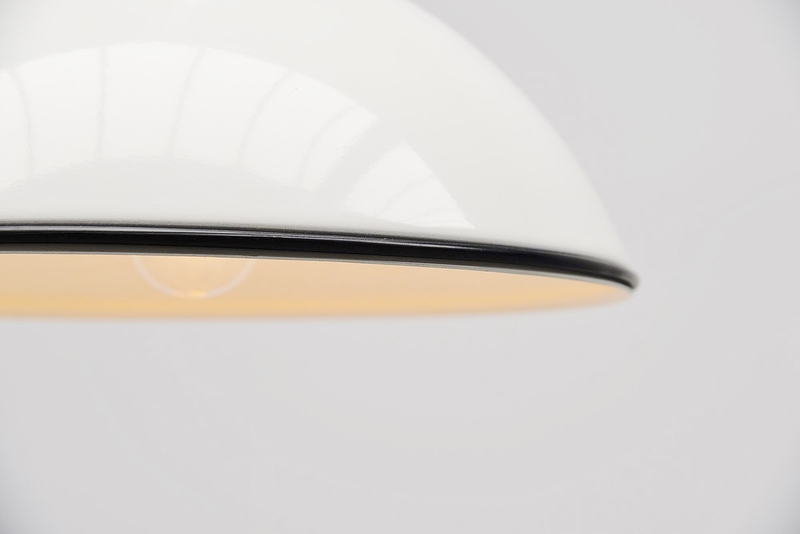 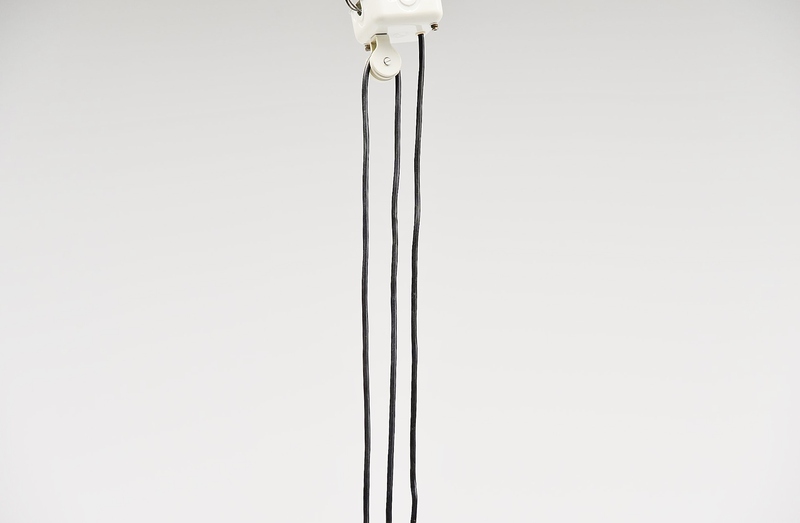 This lamp has an ingenious and easy balance system to adjust the lamp in height. 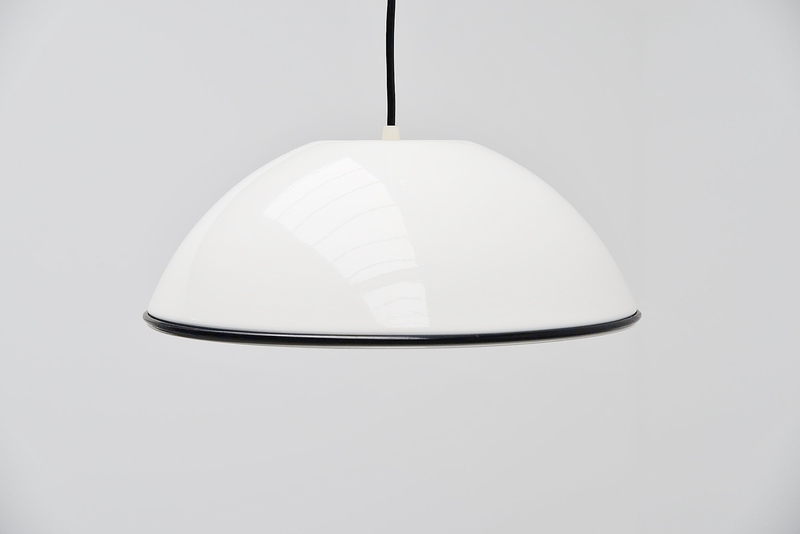 The lamp is lacquered in white and is in good original condition. We have 8 lamps in stock, some still have the Flos sticker, some don't.